1955......Development commenced. 1958.....First Haflinger comes off the production line. 1962.....First long wheel base Haflinger sold. 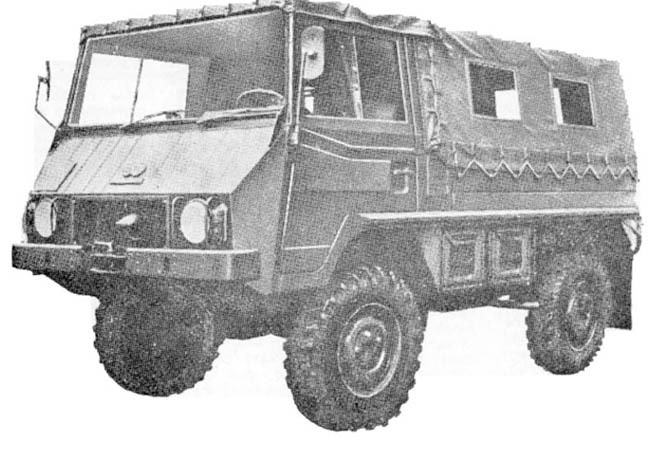 1963.....Development commences of the Pinzgauer the ulimate successor to the Haflinger. 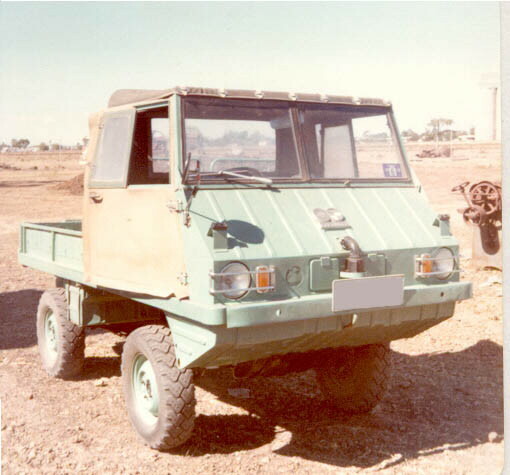 1971.....First Pinzgauer comes off the production line on 17th May 1971.
about Haflingers in Australia, importers, distributors, state dealers, models sold and the Australian Army type. 1962.....AFB Anti Friction Bearings becomes Australian Dealer. 1968.....Ransome Pollard Hoffman Aust becomes Australian Dealer. 1972.....Haflinger Sales and Service P/L becomes Australian Dealer. Haflinger Sales and Service P/L ,Springvale. Westinghouse Track & Engineering P/L, Northgate. Hood Telford Superspreaders, Mt Gambier. Lyn Archer Motors P/L, Hobart. Bruce Ricardo P/L., Yarralumla. . LITERATURE : Newspapers: about Haflingers in Australia, as found in Newpapers. SYDNEY. Monday.-Anti-Friction Bearings Ltd earned a consolidated net profit of £1 2,731 in the six months to last December 31. Profit remained after providing £11,410 Tor taxation and £3,539 for depreciation. The results show a sub stantial improvement over the corresponding period in 1963 when net profit, after providing for taxation and depreciation, was £6,356. In his interim report to shareholders, the company chairman, Mr H. R. Syme, said sales were 50 per cent above the corresponding period in 1963 and 12 per cent above budget estimates. In excess of budget Sales since balance date have continued in excess of budget, he said. A.F.B. (Australasia) Pty Ltd, the subsidiary distributing the Haflinger four wheel drive vehicle, although increasing its sales incurred a small loss which it is anticipated will be recouped by June 30. The company will not pay an interim dividend. LITERATURE : Magazines : about Haflingers in Australia, as found in Magazines. . LITERATURE : Film : about Haflingers in Australia, as found in film . TV documentary: " Call of the Wild" , filmed Cape York ,Nth Queensland. 1964..... Development begins of Pinzgauer. 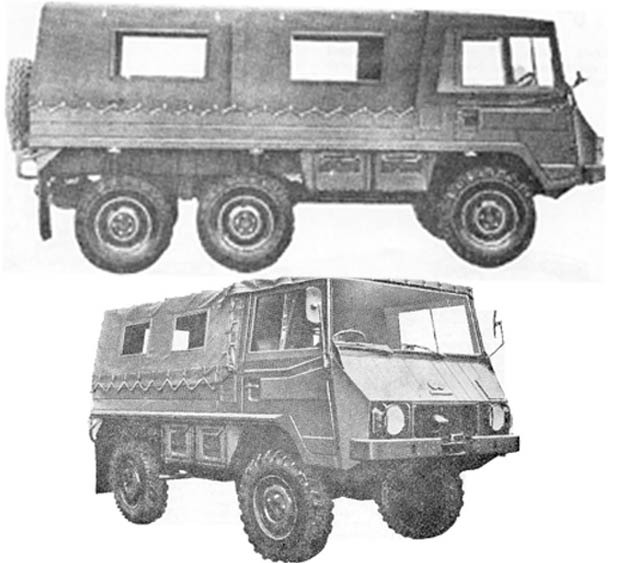 1969..... First prototype Pinzgauer developed. 1971.....First Pinzgauer comes off the production line on 17th May 1971 (model: 710 4x4 and 712 6x6). 1980....SDP begins development of diesel Pinzgauers (automatic and manual transmission). 1985 ....production ends of petrol Pinzgauers . (total 18,349 manufactured for both civilian and military) . 1986....First diesel Pinzgauers released , type P80 (model: 716 4x4 and 718 6x6) 6 Cyl diesel. 1990....variation of the P80 released as P90, 6 Cyl diesel. 1993 ...variation of the P90 released as P93, 6 Cyl diesel. 2000....production ceases of Pinzgauer at SDP factory in Graz ,Austria. 2000....production commences at Automotive Technik in U.K.
2002....variation of the P93 with 5 Cyl diesel (euro 3 emissions).